Chiropractor in Brooklyn, NY - Tabick Specific Chiropractic, P.C. Welcome to Tabick Specific Chiropractic, P.C. Call us at (718) 745-8177 today. For more information or to schedule an appointment with our Brooklyn chiropractor, call (718) 745-8177 today! Welcome to Dr. Tabick's office and thank you for visiting our web site. It is our hope that the following pages can be of assistance to you in some way. Whether you are a current or future chiropractic patient, the following pages are designed to empower you to reach your personal and professional goals. Our office recognizes "Brainstem compression" and the negative implications to your quality of life. We believe everyone deserves a healthy life, free of "Brainstem compression". Remember, we are here because SPECIFIC CHIROPRACTIC WORKS! and well people stay well." Through an initial "brainstem scan", we are able to accurately locate the cause of the compression and customize a program that will heal the problem. The brainstem, located in the neck, is the place where the brain and spine communicate. By tackling the problem at the source, the "Brainstem Specialist" can accurately help the body to heal the problem. On each visit the patient can see for themselves the pre and post "brainstem scan", which demonstrates the procedures positive results. Dr. Christopher J. Tabick is a chiropractor serving Brooklyn and the surrounding area. Our chiropractor and the rest of the welcoming team at Tabick Specific Chiropractic, P.C. 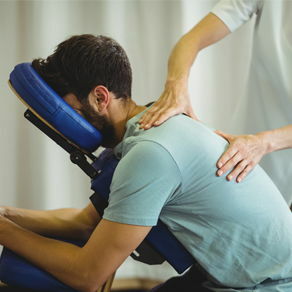 are committed to providing chiropractic solutions to address your unique needs, whether you are experiencing back pain, neck pain, headaches, or even muscular tightness and tension. You may be searching for pain relief after an accident, experiencing an injury, or if you suffer from a specific condition like chronic back pain or a spinal condition. Even if you are looking to improve your overall health, our chiropractor can help you attain your everyday wellness goals! Visit our testimonials page to find out what our patients are saying about our Brooklyn chiropractor and our chiropractic care plans. At your first visit to Tabick Specific Chiropractic, P.C., Dr. Christopher J. Tabick will explain how chiropractic care works and give you a full evaluation to see if our chiropractic solutions are a good fit to address your needs. If there is a good fit, we can customize a plan of chiropractic care for your condition and health goals. If you have not been to a chiropractor before and want to find out more, please contact us or call (718) 745-8177 to receive the answers to your questions from our experienced team. We also welcome referrals, so we invite you to share our chiropractic and wellness information with your friends and loved ones. FREE complimentary first visit that includes a "brain-stem scan", postural analysis and consultation . Dr. Tabick has been helping people find their way to wellness since 1994. Teaching hundreds of Doctors the methods of Specific Chiropractic, patients have greater access to Specific Chiropractors. Dr. Tabick has travelled the world as an Ambassador of Health for Kale Networks and Foundation adjusting sick people in several different countries before starting his New York practice in December 1998. Dr. Tabick is one of approximately 800 practitioners of “Brainstem Specific” chiropractic in the world. As our office manager as well as a Chiropractic patient of over 40 years, Jennifer is well aware of the many needs of our patients. She is a vital link between the patients and the doctor. While being responsible for many different tasks within the office, she adheres to the motto that the patient is the most important person in the office and will set aside any work when it comes to patient interaction. Hope is a special member of the doctor's team as she has experienced the benefits of Specific Chiropractic from birth. She works in the morning hours and assists the doctor as he is adjusting his patients. Her smile and easy going personality really put the patients at ease. The doctor treats all different aged patients, from the elderly to the newborn. Hope is an extension of the doctor's hands as she makes sure that the patients feel comfortable. "When i first came in i was in so much pain. Dr Tabick took his time to make a complete consolation and care plan. After a few weeks of care i was feeling much better. My kids said told me they got fun dad back. As time has gone by under his care i have pain free days and major increase in range of motion. i have lost weight and be able to get back to healthy life style." "Trust worthy. They have a heart for people"